Hedge funds are not perfect. They have their bad picks just like everyone else. Valeant, a stock hedge funds have loved, lost 79% during the last 12 months ending in November 21. Although hedge funds are not perfect, their consensus picks do deliver solid returns, however. Our data show the top 30 mid-cap stocks among the best performing hedge funds yielded an average return of 18% in the same time period, vs. a gain of 7.6% for the S&P 500 Index. Because hedge funds have a lot of resources and their consensus picks do well, we pay attention to what they think. 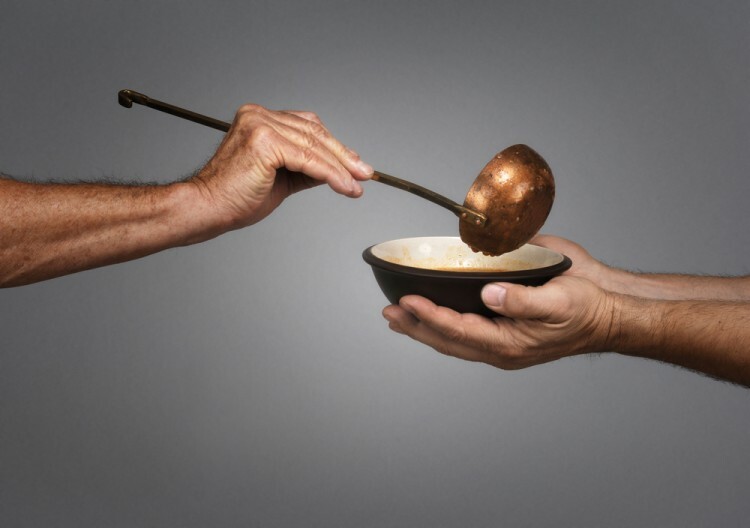 In this article, we analyze what the elite funds think of Campbell Soup Company (NYSE:CPB). Is Campbell Soup Company (NYSE:CPB) an attractive investment today? The best stock pickers are getting less bullish. The number of long hedge fund positions dropped by 2 in recent months. 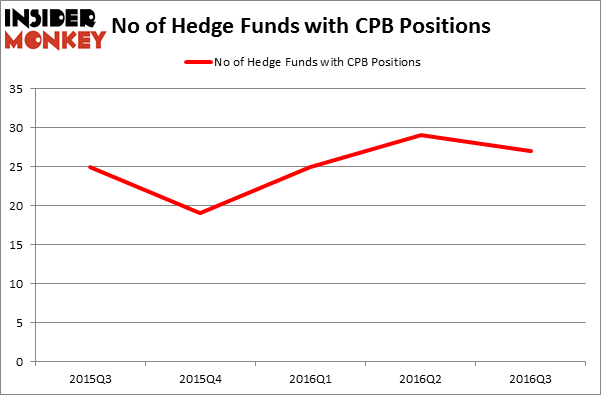 CPB was in 27 hedge funds’ portfolios at the end of September. There were 29 hedge funds in our database with CPB holdings at the end of the previous quarter. At the end of this article we will also compare CPB to other stocks including TE Connectivity Ltd. (NYSE:TEL), Boston Properties, Inc. (NYSE:BXP), and Sun Life Financial Inc. (USA) (NYSE:SLF) to get a better sense of its popularity. At the end of the third quarter, a total of 27 of the hedge funds tracked by Insider Monkey held long positions in this stock, a 7% dip from the previous quarter. That followed a greater than 50% rise in hedge fund ownership during the prior 2 quarters. With hedgies’ sentiment swirling, there exists a select group of notable hedge fund managers who were upping their holdings significantly (or already accumulated large positions). According to publicly available hedge fund and institutional investor holdings data compiled by Insider Monkey, Cliff Asness’ AQR Capital Management has the most valuable position in Campbell Soup Company (NYSE:CPB), worth close to $67 million. Sitting at the No. 2 spot is Jim Simons of Renaissance Technologies, with a $43.5 million position. Some other members of the smart money that are bullish comprise Mario Gabelli’s GAMCO Investors, Clint Carlson’s Carlson Capital, and Joel Greenblatt’s Gotham Asset Management.